We are now home educating Little Bird. We couldn't find the right school in time for September and all sorts of other reasons. I think the pathway is a little clearer now and we'll maybe start looking at schools again but in the meantime we are very much home educating. We don't have a structured timetable and go with the flow depending upon the mood that LB is in and aim to do lots of fun things every day to help him learn. It can be hard to know where to start sometimes. Little Bird has autism so his learning style takes a lot of work to understand, I can't lie - it is complex. Over the summer I had a bit of a head start using the Twinkl website which provides oodles of printables, activities and guidance. It has been a great help to me in order to get started on our home education journey. Twinkl Resources is the trusted home and one stop shop for thousands of lovely, unique, printable teaching resources for Early Years, Key Stage 1, Key Stage 2, teachers, home educators, parents, childminders, nurseries and more. 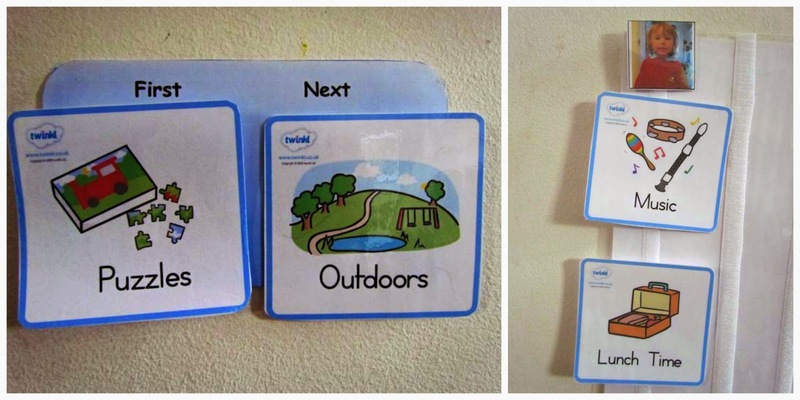 They have an SEN section with everything from visual timetables to behaviour management. 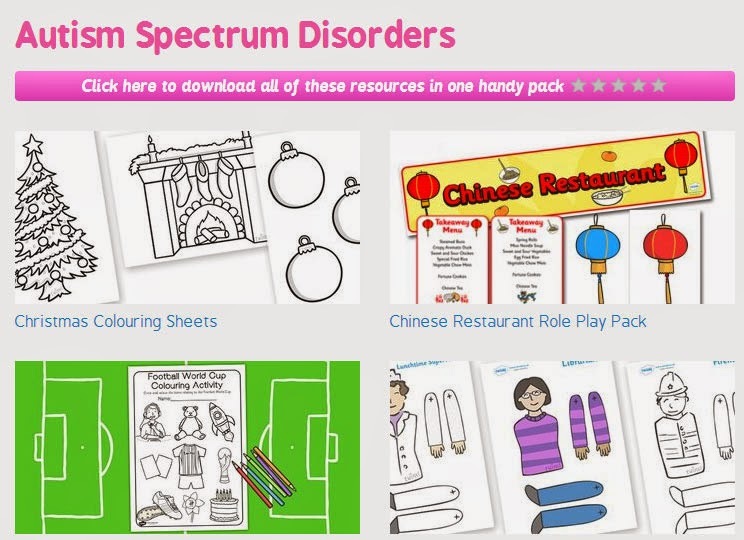 One of the first sections I went to was the Autism Spectrum Disorders page and got the full resource pack in one handy download which took only a few minutes. This contained truly amazing printables that we can work on. From simple tasks like sensory activities such as the Playdough Mats which are great for us at the moment as LB has a love of the stuff, squelching it and squeezing it. 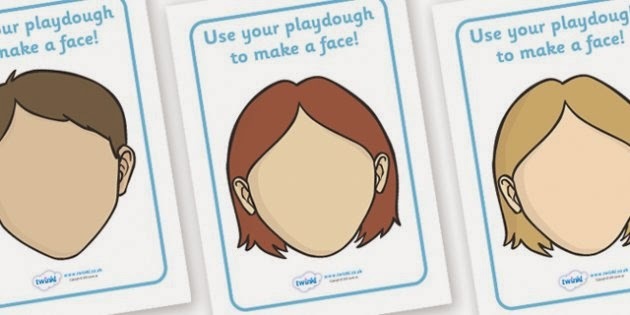 We will use the mats to enhance our learning, starting with the Playdough faces so he can practice rolling up sausages to make a smile and rolling a ball for eyes - great for his fine motor skills and the Playdough Mats make it that more interesting. Then there are lots of matching games and further down the line for us, simple Numeracy and Literacy. What I love about Twinkl is that the layout and the grouping together of activities is very easy to understand and navigate. You can easily find what you are looking for and also find the right level for your child straight away. Also, if like me you are home educating it acts as a good starting point and if you are following the National Curriculum it is a good guide to follow. Even if you are not following the NC, it is still a fab site for information and activities for your children. It will be invaluable to us whilst home educating. The illustrations of the activities are colourful and clear with a style that is consistent across the site. The instructions are straightforward on both how to download and then print the resources. All you need is a printer and a laminator - invaluable items for me with printing off lots of visual timetables and communication cards for LB. The Twinkl Forum is a further wealth of information covering all subjects and levels as well as topics relevant for teachers, parents and others in education. This was a really interesting area to browse through and I picked up some ideas for planning the day at Early Years Level and read an interesting SEN thread. Hopefully in time the forum will be utilised a lot more and have more contributions as it would be a place I frequently look too for help. Twinkl Create is a new section of the website where you can create your own resources from a selection of templates that you then whatever you need for the classroom or at home - perhaps labels for files or for drawers. You can select pretty borders and picture to tailor them to your own style. For instance, LB loves animals so I'd like to make some labels for our puzzles, games and activity baskets with his favourite animals on them to brighten up our home education area at home. It also gives another talking point with LB and I like to increase these speech and language opportunities throughout the day. I was thrilled to find a Home Education area under the Parents section and here I found some ideas of Lesson Plans such as a very relevant Autumn lesson plan ideas for EYFS. Now it can be really hard at home to think of some ideas some days so the lesson plan is great and provides activities across the curriculum. They even contain handy links to printable activities on the Twinkl website. I found an Autumn Display Poster that is perfect for LB as we are very much all about the pointing, naming and practising vocabulary. You will get so much help from Twinkl, it is an absolute life saver. Twinkl are open to suggestions and I can see that under each activity is a section where you can put forward ideas and improvements to which Twinkl quickly acknowledge. I like that, it feels very much like you are part of a community. The SEN section has most definitely been our first stop. The Autism Spectrum Mind Map is superb and helps you to understand autism and what you can do with your child on the spectrum. Likewise are the visual timetables which we having been putting to good use in our daily work at home. The Story Sacks are amazing and give a pack of activities, it would be great to see more stories in time as they really are excellent. From a home educating SEN point of view they are fantastic and when LB goes to school we will carry on using the resources at home. They are fun whilst also being educational and I can see how they help teachers in the classroom too. Top marks from us and I feel the price is very reasonable too.